By Sofia AK in Photography. Updated on November 18, 2017 . 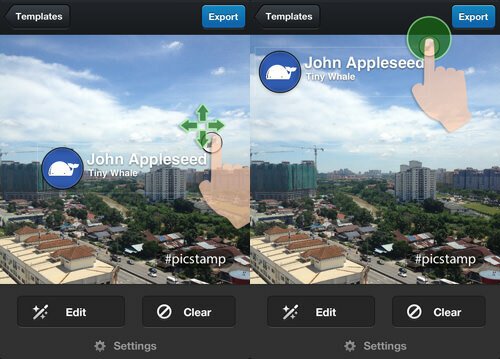 There are many types of photo editing tools in the App Store. 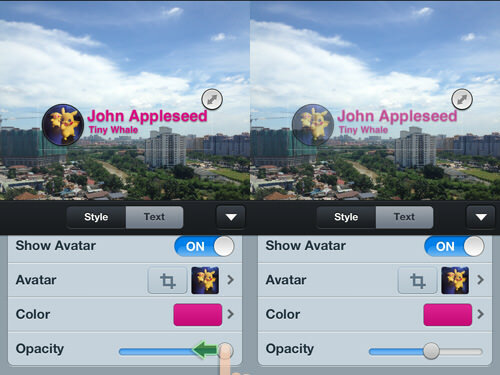 Some photo editing tools let you cartoonize your photo while others allow you to apply effects. 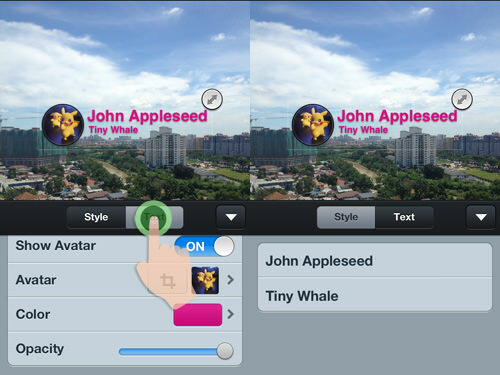 Then, there are tools which allow you to add text to your photos in the form of a watermark or a caption. 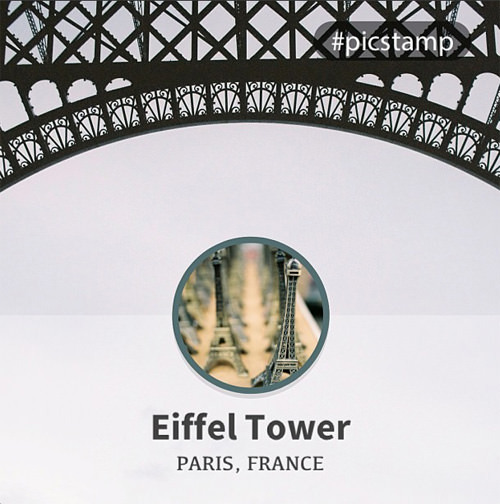 Other than applying effects and text, now you can also add stamp templates to your photos with picstamp. 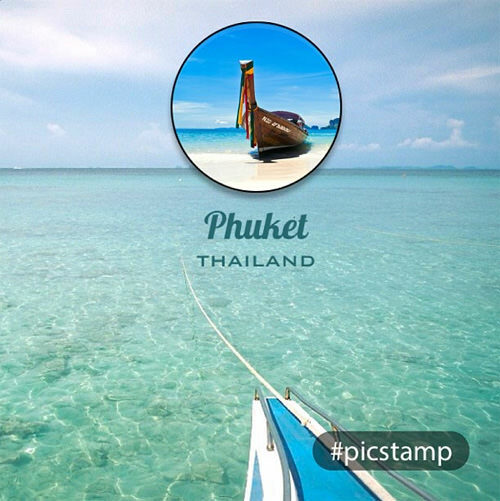 picstamp is a photo-editing iOS app which allows you to choose stamp templates and put additional info on your photos – imagine putting a tweet on your pictures. 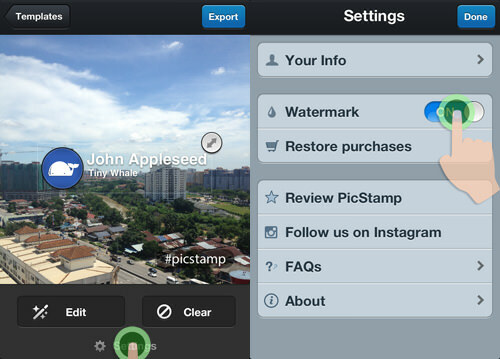 And get this, picstamp is Instagram-ready so it just takes a tap to share it on your account. 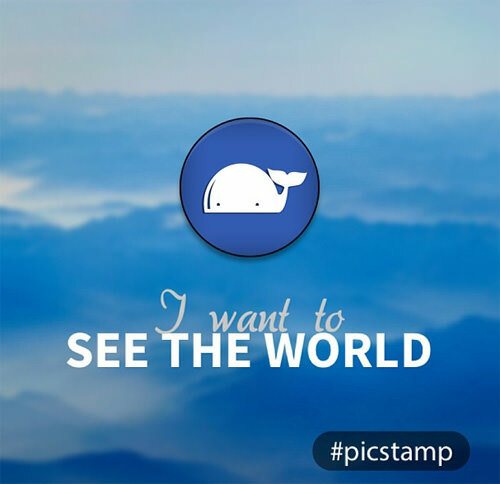 To start, download and install picstamp on your iPhone. Then, run the app. 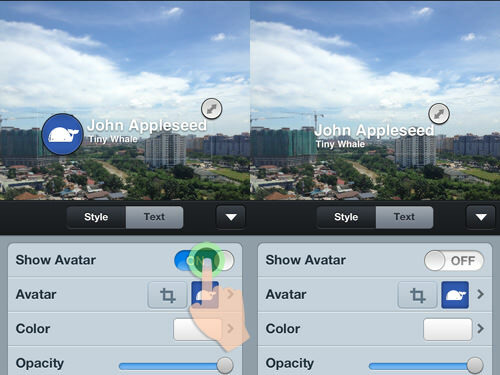 You’ll be presented with a straight user interface where the only functional icon is the camera icon. 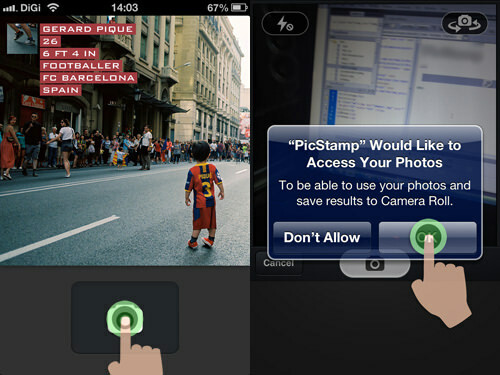 Tap on the camera icon to take an image and it will ask for permission to access your photos. 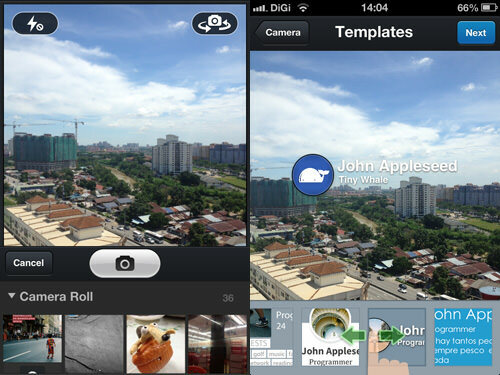 You can choose to take a new photo or you can choose one photo from your photo gallery. Then it will bring you to a page to choose your template. Swipe left or right on the template bar to see more templates. After settling with a template, tap on ‘Next’ and there will be pop-up asking if you want to connect picstamp with your Facebook account. Now, you can edit the template that you have chosen. To make the template bigger tap on the ‘arrow’ icon and pull it up to make it bigger or down to make it smaller. You can place the template some place else by pressing on the ‘arrow’ icon and dragging it to your desired spot. 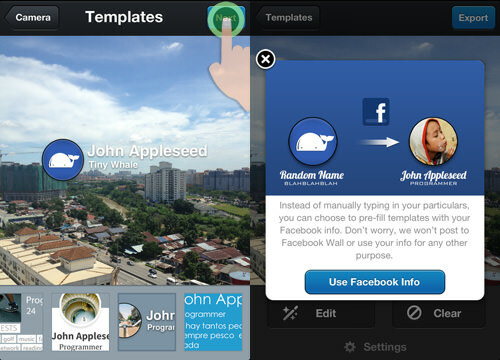 You can also edit the template by tapping on ‘Edit’ on the bottom bar. There are two tabs for editing, one is ‘Style’ and another is ‘Text’. On ‘Style’ tab, you can choose to show the avatar not. Without the avatar, all you got is text. With the avatar on, you can change your avatar image. 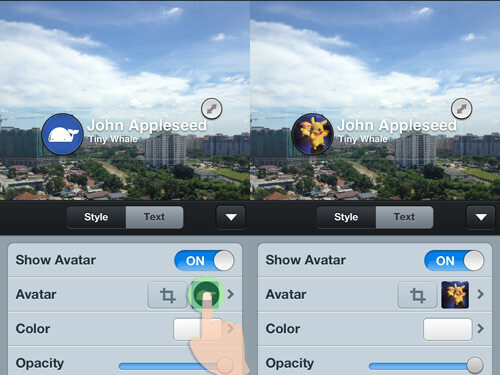 Tap on the image icon and it will let you choose an image from your photo gallery to replace the current avatar. You can also change the color of the text on the template by tapping on ‘Color’. 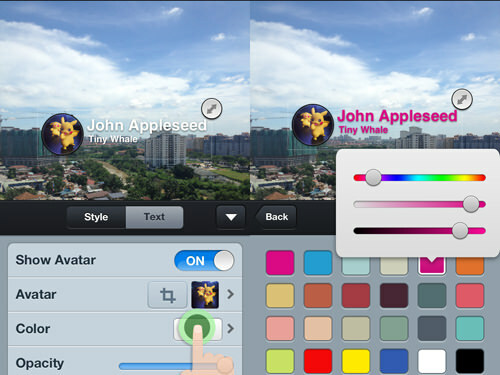 If the color you want to choose is not available, press on any color for a few seconds and a color palette will pop. Use the color palette to create your custom color. And lastly, you can adjust the opacity of the stamp. 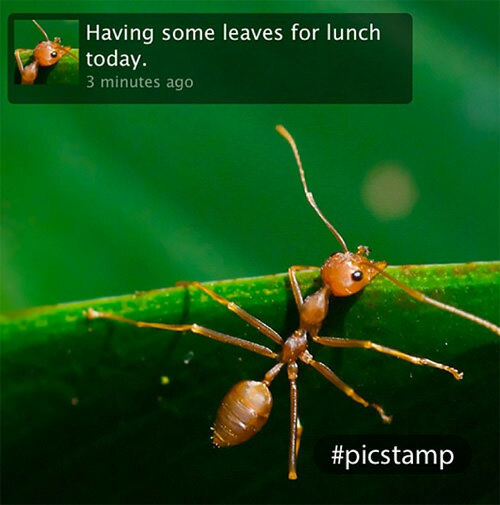 To change the text on the stamp, go to the ‘Text’ tab and edit the text on the template. Tap on the text space to start editing the text. Under the ‘Settings’ icon is where you can edit your personal info. Your personal info is used to prefill the stamps, so you don’t have to do it for every single stamp you use. Tap on ‘Your Info’ and fill in your name, age, location, phone number and others. You can also connect to the app via Facebook account by tapping on "Use Facebook Info". When you’re done editing tap on ‘Settings’ and then tap on ‘Done and it will bring you back to the photo page. 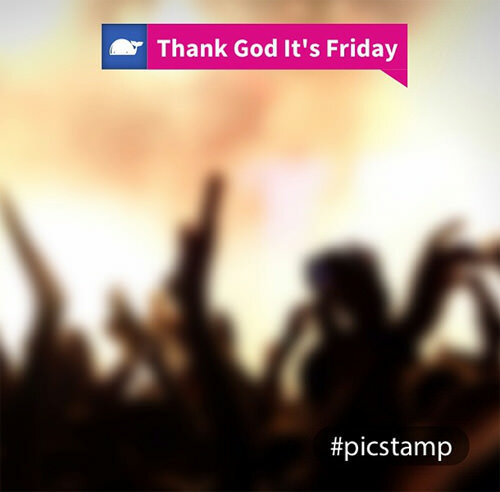 As stated earlier, picstamp is designed to specifically work well with Instagram. 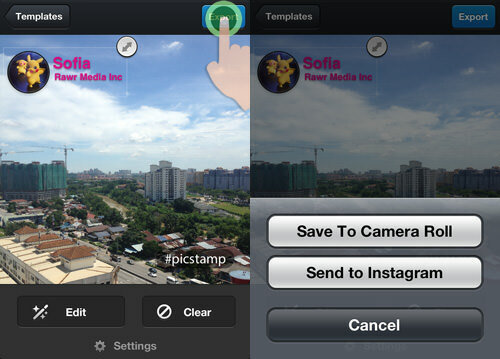 To share your photo on Instagram, tap on Export and tap on Send to Instagram. 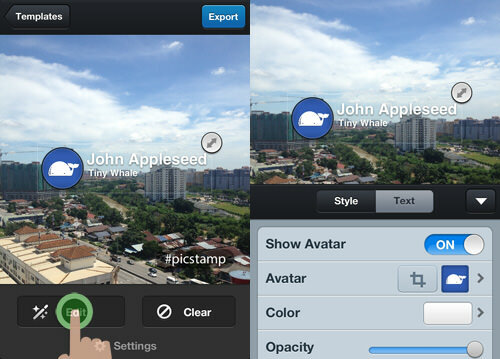 picstamp will automatically save a copy of your photo in your ‘Camera Roll’. 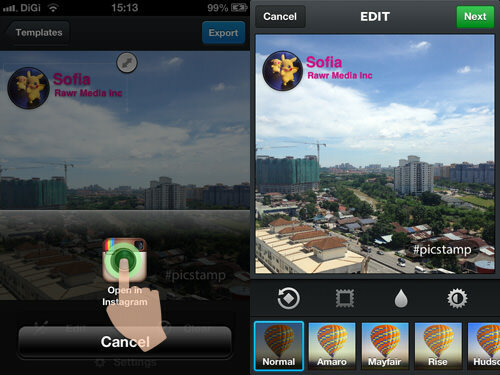 Tap on ‘Open in Instagram’ to open the photo on Instagram where you can apply your filters. 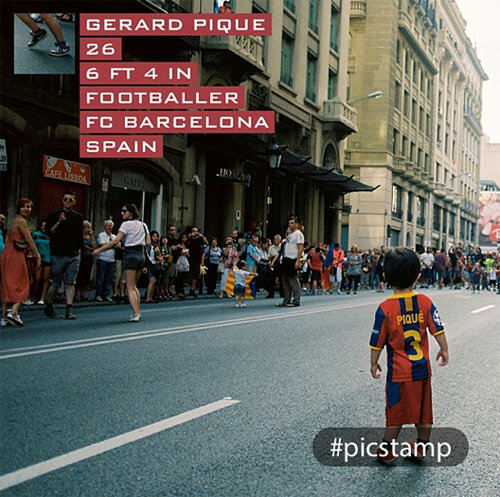 Fill in the caption and other info like how you usually share a photo on Instagram and tap on ‘Share’. 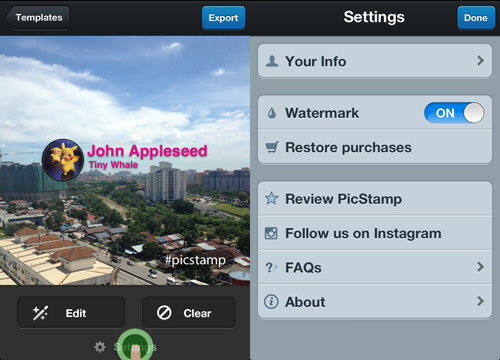 With that you’re done and the photo you edited on picstamp is shared on your Instagram account! 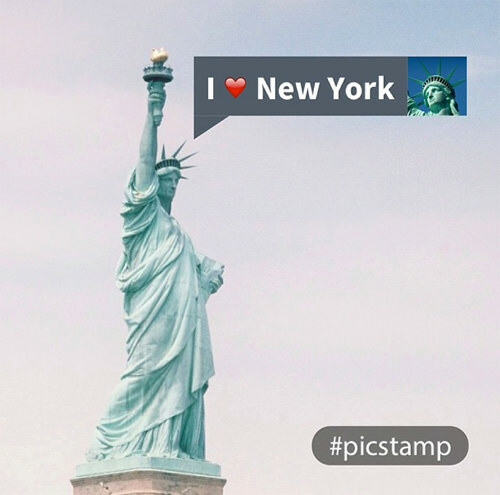 picstamp is a fun app to use but there are a few limitations. One, you can’t share photos to Facebook, Tumblr, Pinterest or other social platforms. 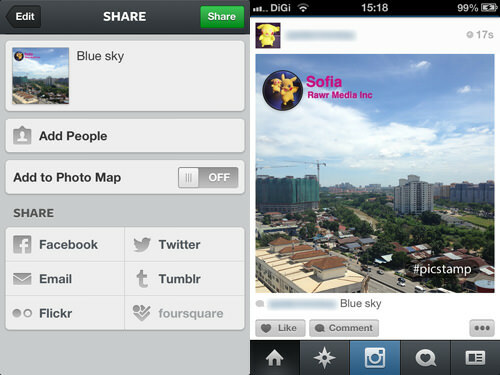 You can only share photos directly to Instagram. 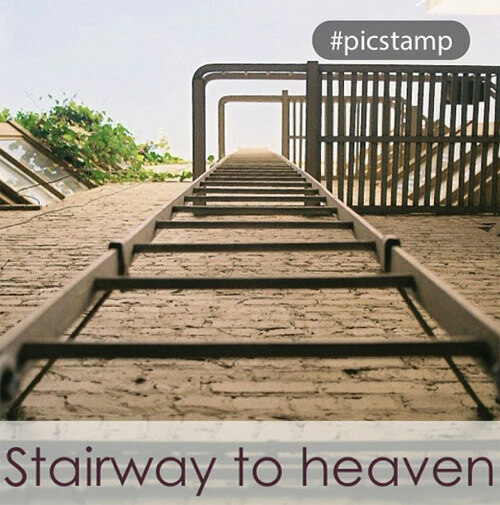 Another partial-limitation is on every photo you edit using picstamp there is a ‘#picstamp’ watermark on it. 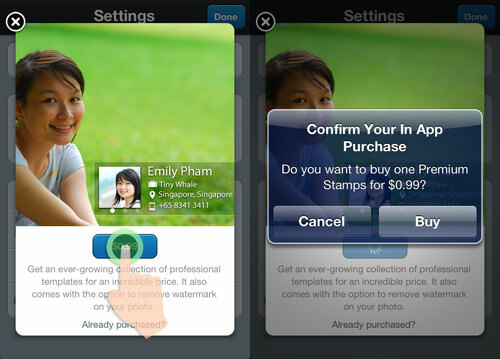 The only way to not have the watermark on your photo is to buy their Premium Template Pack for $0.99. To buy it, tap on ‘Settings’ and then tap on ‘Watermark’. A pop-up will ask if you want to purchase the stamp templates. The purchase will give you more templates to choose from and a watermark-free stamped picture. 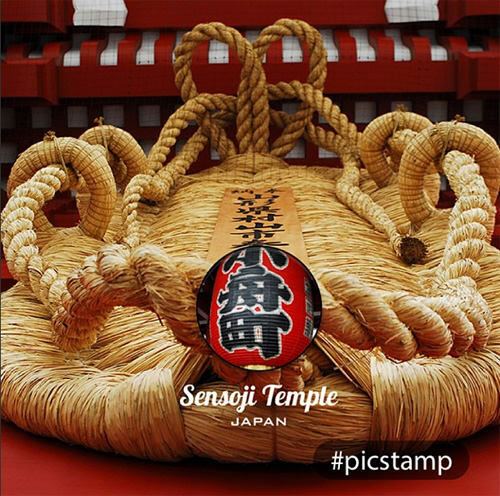 Not sure if you want to give picstamp a try yet? 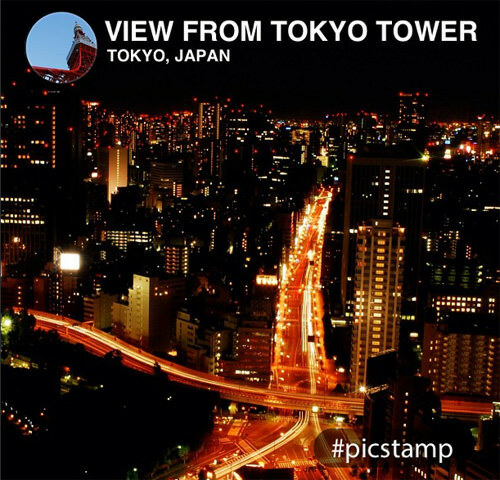 Check out the photos from the picstamp Instagram account.